to pass through. View from Mt. Teurufaatiu, Maupiti French Polynesia. 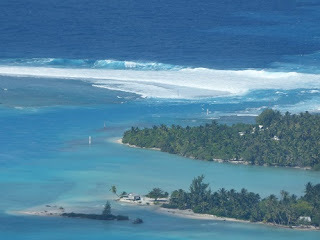 We’d heard Fakarava’s entry in the Tuamotus spoken of with fear, especially the South entrance, where we came in. Either we were really lucky, even though according to the tide tables we didn’t come in at the optimal time, or it’s a piece of cake compared to the crashing waves amid shallow entries like Panama’s Rio Chagres, Bahamas Long Island Little Harbour and a host of really narrow rocky passages like Hatchet Bay in Eleuthera. 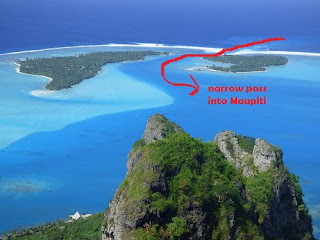 Wayne read about a range of “Do not enter Maupiti if the surf is more than 1.5 – 3 meters from the South to the Southwest.” We missed our perfect window sailing from Bora Bora by a day, as we hadn’t checked out of French Polynesia, and Bora Bora was our last chance to do so. Mt. 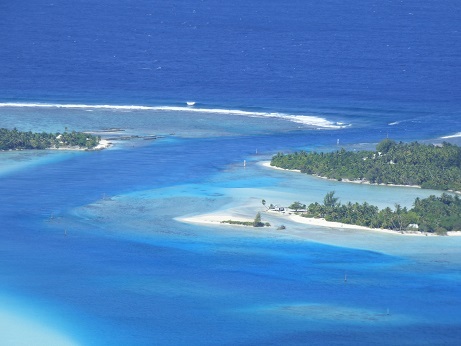 Teurufaatiu, Maupiti French Polynesia. Still, the weather forecast didn’t look too bad, and based on our Fakarava pass experience, we figured the fears were overblown, at least up to 2-3 meter Southerly swells and we’d still be ok. We checked out of Bora Bora, ready to sneak in one last French Polynesian island. Once we got going, the swells were not from the South or Southwest… until we right before we got to Maupiti’s narrow entrance. Then they came from both sides, though not more than 2 meters high. The entrance was neither the narrowest nor the shallowest we’d entered, but the reefs on each side were decidedly nasty. The waves both powerful and impressive. We came in against the current, so the stress of getting through a tricky pass lasted a bit longer. 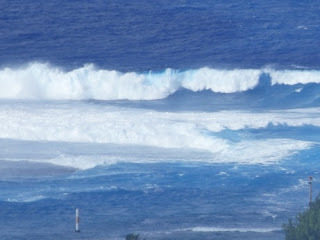 Maupiti pass, waves looking off our stern as we entered. Once through, it’s instantly apparent why entering Maupiti’s pass is worth the effort. Calm water. Sparkling sandy, coconut palm covered motus gently rise from clear turquoise-colored waters. The island of Maupiti’s gentle peaks jutting up against the skyline, providing the perfect panorama viewpoint. We’d also read mantas hang out at one of the motus just inside the pass. Dropping anchor off town, we were greeted by a small turtle and some stingrays. Kiteboarders were making the most of strong winds across shallow flat water off a motu. (Watch for more posts coming up on Maupiti). Maupiti pass, waves just outside its narrow entry. We were lucky. The day after we came through the pass, even the local fishermen refused to go through. However that was only one day out of our week on Maupiti. 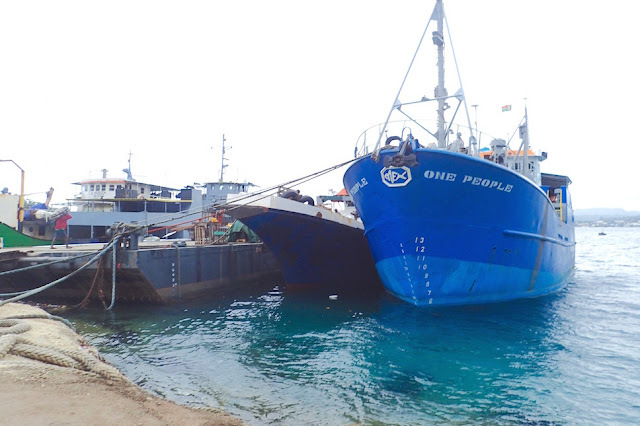 “Maupiti is a bit like Fakarava, plus a mountain thrown in,” explained fellow Pacific Puddle Jump cruiser Dave of Anahata. We agree; Maupiti is the best of both, though Fakarava’s South pass, with its breadth of sea life and stunning array of coral, is still by far our best overall snorkeling experience this year. (Watch for Fakarava posts after my Mac’s hard drive gets resurrected). 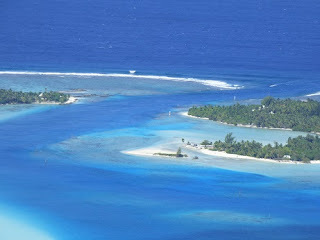 *Mopelia is Southwest in the chain of French Polynesia’s Society Islands. Like Maupiti there is no place to check out of the country, but also no one tasked with chasing out cruisers past their visa stay. We were sad to say no, as it’s out of the way to American Samoa where parts await, and the excellent cruising of Tonga after that. 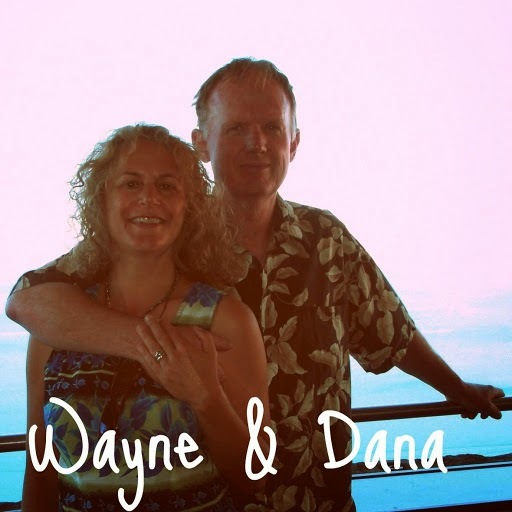 “We’ve dwaddled too much already,” Wayne sighed. We’ve no regrets whatsoever for our time in Maupiti. Maupiti pass on a really calm day from Mt. Teurufaatiu. Much clamer than when we went through.